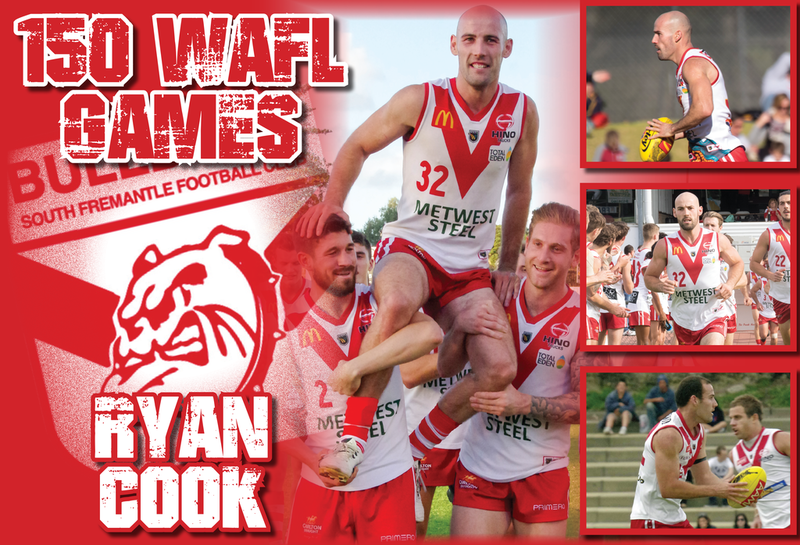 EVER since arriving at South Fremantle, Ryan Cook has been blown away by the history of the club and the Life Member functions every year have become his favourite event and now on Saturday against Claremont by reaching 150 games he earns his own life membership. Cook threw himself fully into the culture of the South Fremantle Football Club as soon as he arrived in 2011 and while he had no idea of the legacy he would go on to build in the years ahead, he instantly knew it was the right move following his time with Collingwood in the AFL. 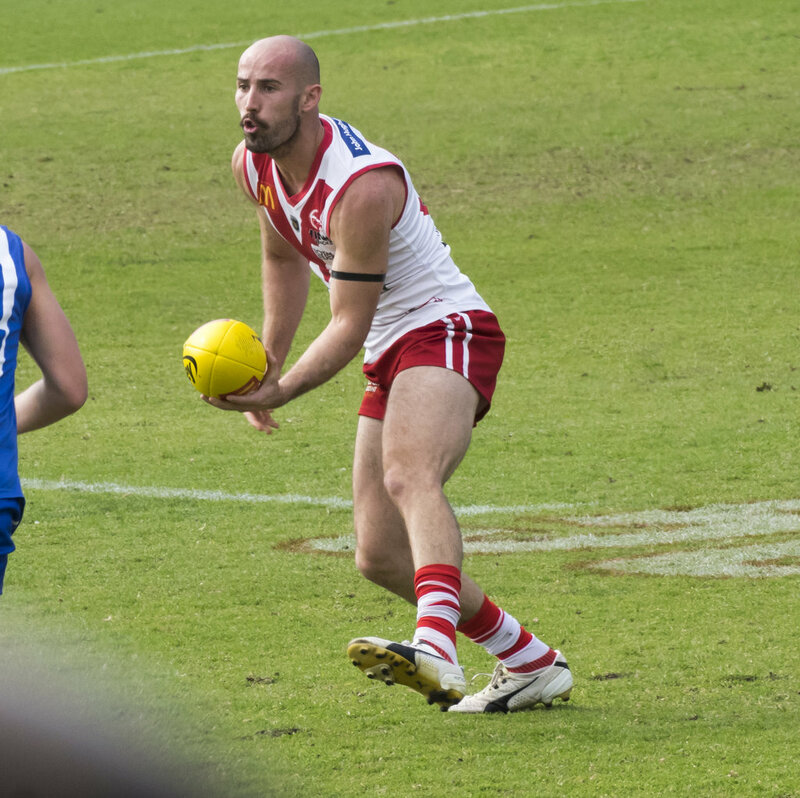 He made an immediate impact upon arrival at the Bulldogs too in that 2011 season going on to play State football and win the WJ Hughes Medal all as part of a team that reached the finals. Cook was named captain the following year and remained in the role up until the end of 2017 when he decided the time was right to pass the baton on to the next generation of leaders while he was still playing. 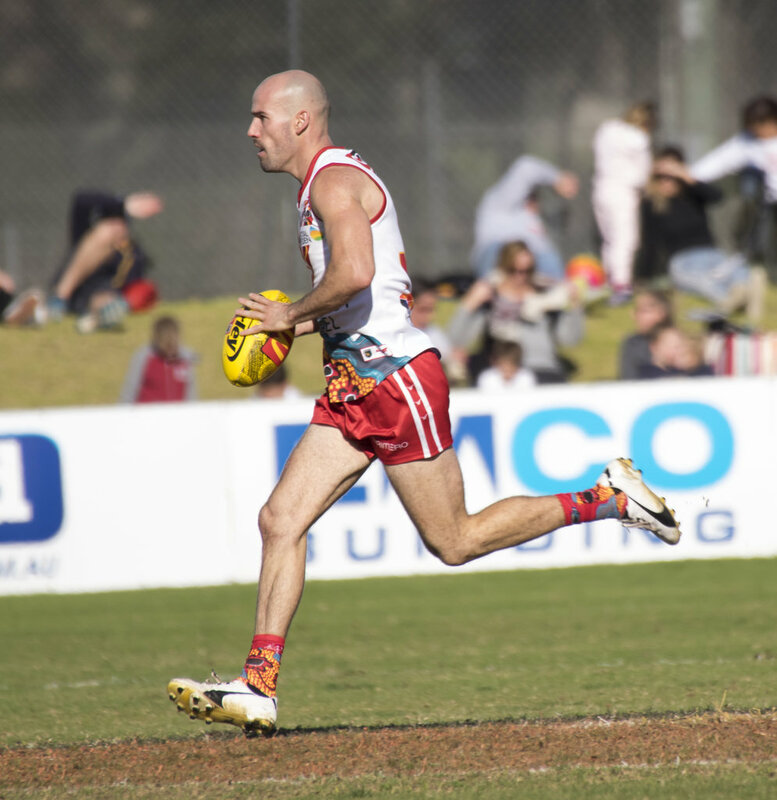 Along the way, Cook captained South Fremantle on a record 117 occasions while also winning another fairest and best award and being runner-up on another two occasions and ending up playing for WA in six of his first seven WAFL seasons. 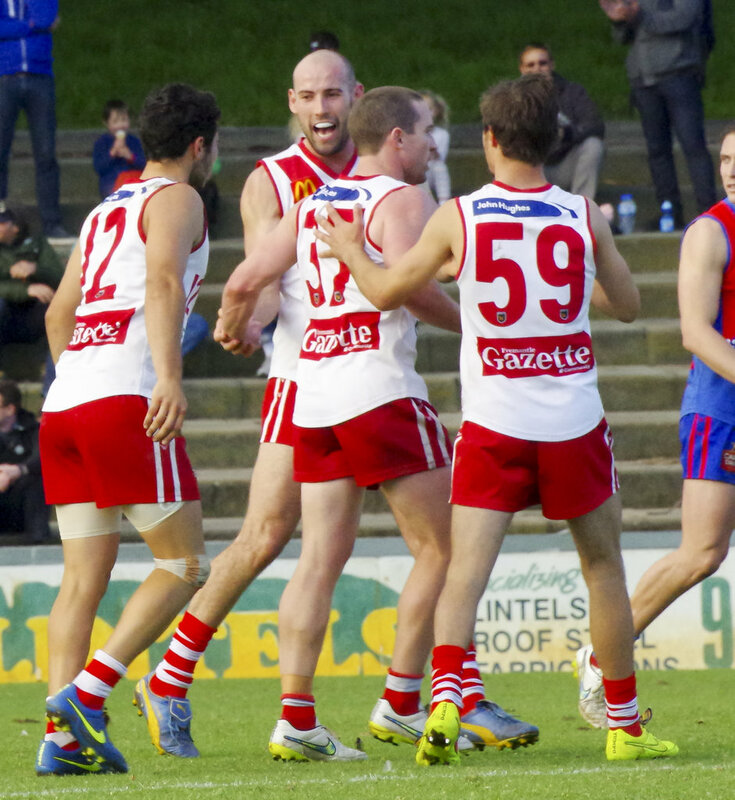 He had enjoyed his 100th game celebrations with a win against Peel back in 2016, but it was becoming a life member that Cook really wanted to achieve having seen what it had meant to so many people over the years at the annual Life Member functions. 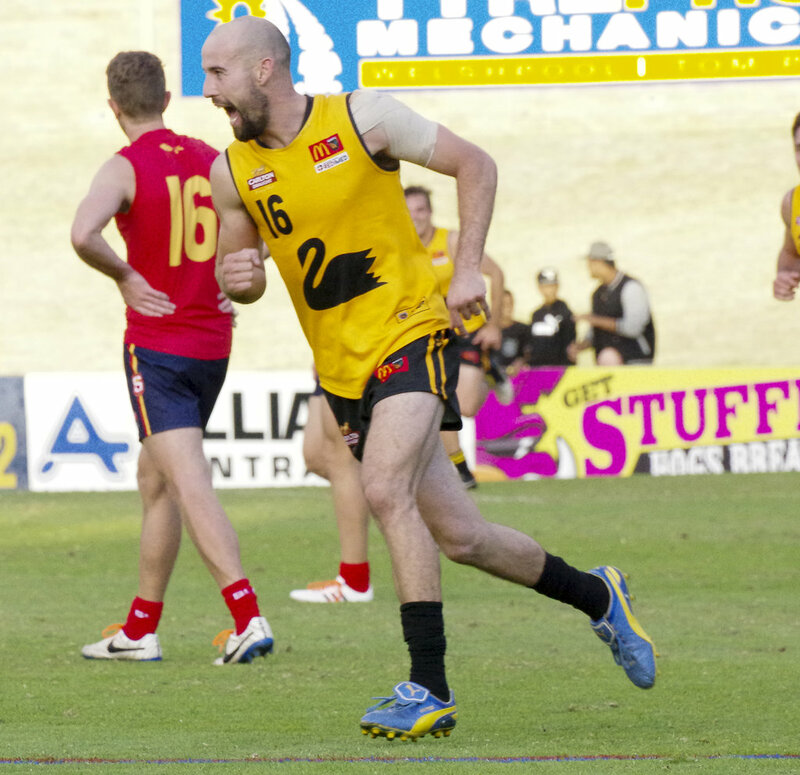 He will achieve that goal by playing his 150th game this Saturday against Claremont at Fremantle Community Bank Oval and he couldn’t be prouder. "You see the names and faces at the life members days is just amazing and the leaders are now invited to those occasions, and I think it's good they can see what the day is like and feel what it means to so many people," Cook said. "I'm just going to be happy to hopefully finish this game with a win and then forever be able to enjoy the beers on those life members days in the years to come. "It was eight years ago that I first came over just on a whim for a bit of a journey. And eight years later I'm still here and people say it's gone quick, but it hasn't. It's been good and I've thoroughly enjoyed every season and each season has been different. "The 100 games did feel like a while ago so the last few years seemed pretty long. But it's exciting. I've been to a few life members days now in my time here and they are fantastic days. Going to the first one, to see what it meant to each person it was something I wanted to achieve." Cook is looking forward to Saturday to reach his 150-game milestone on home turf in the annual NAIDOC Week contest with Claremont and he can't help but reflect on the journey he's taken to get there. "I had my 100th here against Peel and I looked at the fixtures this season and it was always going to be at home unless I missed a game along the way. I'm very excited that it will be at home in front of the home fans," he said. "It's just a super special and proud moment. When I first came over I had just been delisted and I wanted to try something new. I had been in the VFL for five years and I just wanted a new experience. "Once I was told the news that I was chopped, the thought of coming over here was exciting and I didn’t know how long it would be for. But the first time I came down Jaymie Graham and Ryan Murphy were here, I was with Paul Hasleby, Toby McGrath, Craig White and there were just so many names. "A few of them are life members too and Hayden North and Josh Head are others who showed me the way early on here. Then they started to move on and there's been a big transition to where we have all these young guys here now and I'm an old, wise head. "It's just been fun and to be a life member of this footy club, I have no family over here, so these guys and this club is my family. That includes the coaches, the staff and the fans and board members. 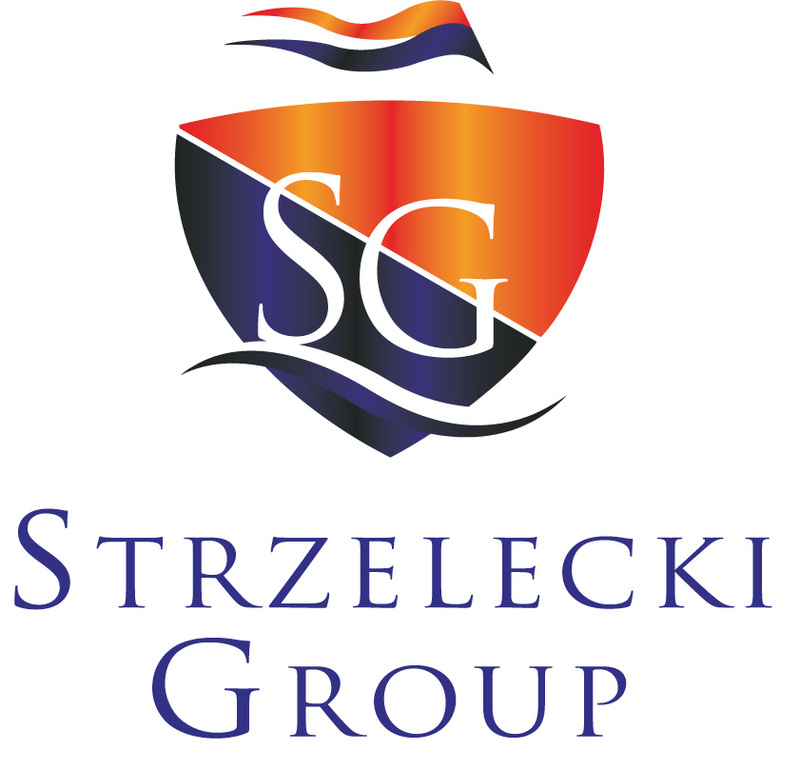 We are called the Premier Family Club for a reason, you do get that feeling around here." 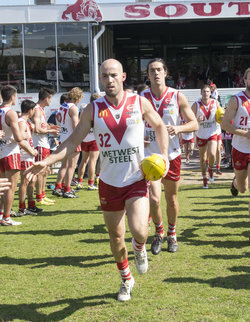 Cook has become a student of the history of the South Fremantle Football Club since arriving in 2011 and he has made it a point to meet and spend time with as many past players, and former greats, of the Mighty Red V as possible. That's why he is now so honoured to earn life membership but why he can't help but shake his head at the knowledge that he is the longest-serving captain the club has ever had given the rich history he's now fully aware of. "Peter Worsfold was the longest-serving captain before me and I had a fair bit to do with Pete when I first came, he was helping out our leadership group the first couple of years before Harro took over," Cook said. "He is just a great man and so are all the former captains I've met. 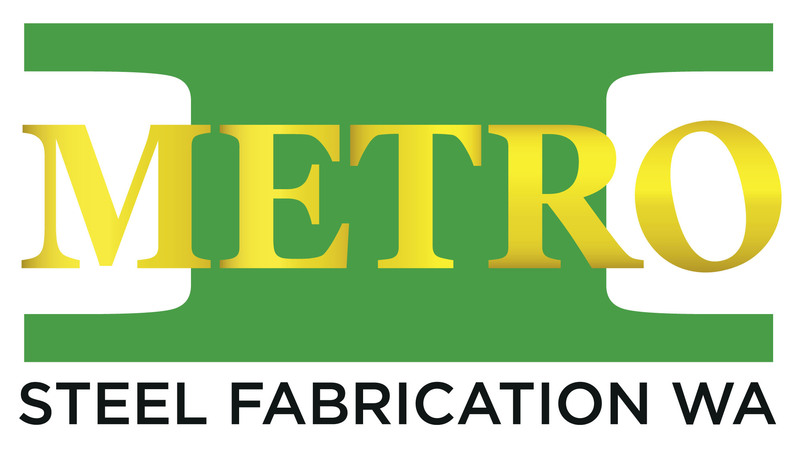 I learned a lot off Jaymie Graham when I first came down and then Toby McGrath. That achievement is something I do shake my head with and at those life members days you sit back and look around, and just pinch yourself with the guys who are around." As for the decision to pass on the captaincy now to new skipper Dylan Main and vice-captain Mason Shaw, Cook thought it would be beneficial for everyone involved if he did so while he was still playing to offer some guidance to the young leaders should they need it. He's happy with the decision now and has enjoyed seeing the pair emerge into strong leaders already. "I thought the time was right, I was even thinking it towards the end of the year before but I felt I had to put my hand up one more year and lead the boys," he said. "But it has worked out well and it's gone perfectly with Dylan Main as captain and Mason Shaw vice-captain for this group. They are primed for the role and it was time for me to take a backseat and help guide these guys along. Who knows how long is left for me so the timing was perfect I thought." Finals success is now the one thing left that Cook is craving to accomplish. 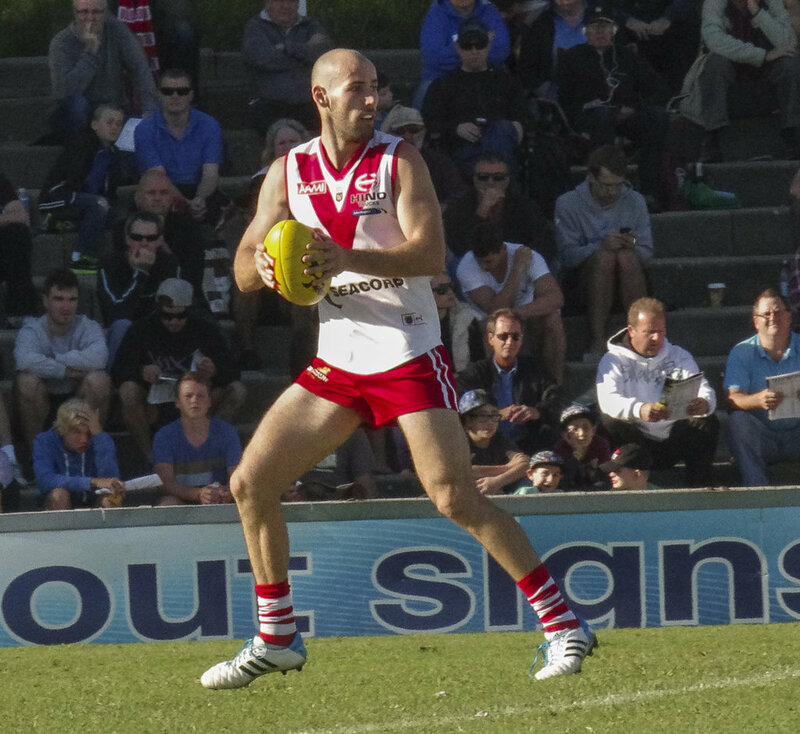 When he arrived at South Fremantle, he did play in that unsuccessful first semi-final loss to Subiaco in 2011 and it was on the back of the Bulldogs winning premierships in 2005 and 2009, reaching another Grand Final in 2006 and reaching finals in seven of the previous eight seasons. 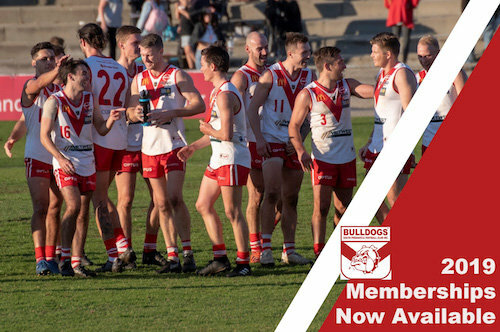 The next four years were certainly disappointing without any finals appearances and now the losing preliminary finals of the past two years have left a burning hunger inside Cook to achieve the ultimate success with South Fremantle while this group remains together. "Two years ago we hadn’t played finals since my first year so we'd had a four-year spell and then things changed. When Curls came in, we had big pre-seasons and nutted out a game plan that worked for us," Cook said. "We were all on the same page with us and two years ago we got to that prelim and lost here to Peel, and got knocked out. That hurt but I suppose it was good to get a taste of it. "Then last year the hunger grew again and we got back to the same spot, and I think we were better than the year before but things didn’t pan out again. That one definitely hurt a lot more and has put a spark in us this year. We know what we're in for come the end of the year, we just have to time it right, play our way and build towards that last month. "Subi are out in front and then there's the peloton, which we are just at the head of at the moment. We are aiming for finals, whether we finish second or not who knows, there's still a bit of footy to be played. "I don’t think we've played our best footy yet and I see that as being good for us because we are still trying to put four quarters together. We just need to maintain our efforts at training, keep our standards up and keep pushing each other." 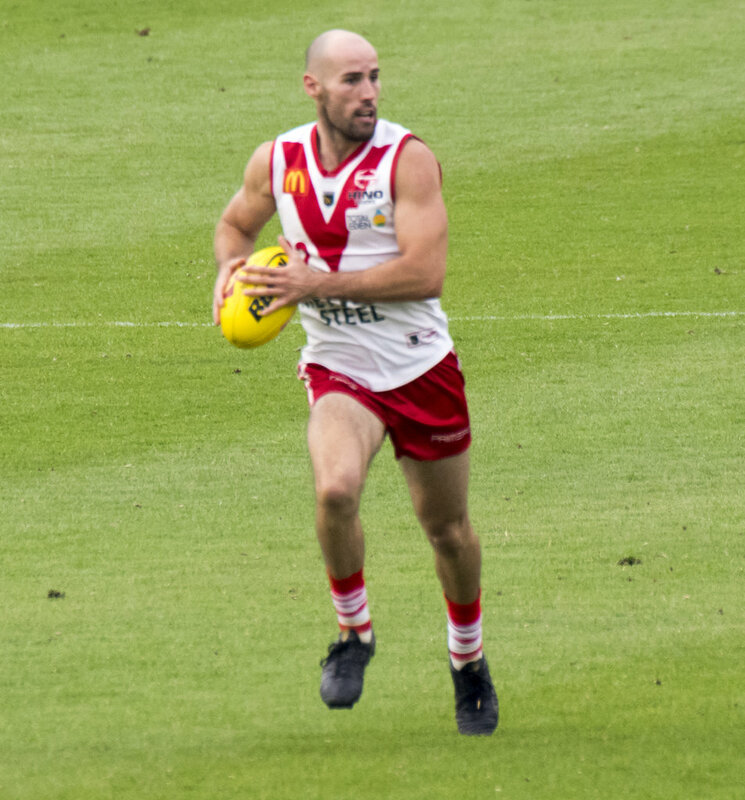 Cook has played 149 of a possible 158 games with South Fremantle since arriving in 2011 and there are no signs of his form or body letting him down at this stage, but he is starting to feel every bit of 30 years of age. He's not sure yet about what his future holds, but whenever he does stop playing he certainly sees himself remaining living in WA. "The main training session each week is getting harder and the recovery is too so the body is starting to feel it, but I'll make a decision towards the end of the year," Cook said. "I'll see how I'm feeling and it would be more headspace than body-wise for me right now. I'm fine at the moment and getting through games but we'll see how the niggles persist. "Initially because I was so used to the hustle and bustle of Melbourne and living in the city, it was very cruisy over here and I soon worked out it suited my personality and lifestyle. "I grew up near beaches in Melbourne so being near the water was key for me and it's pretty easy living here with the sun out nine months of the year. I'll probably stay here once I stop playing. 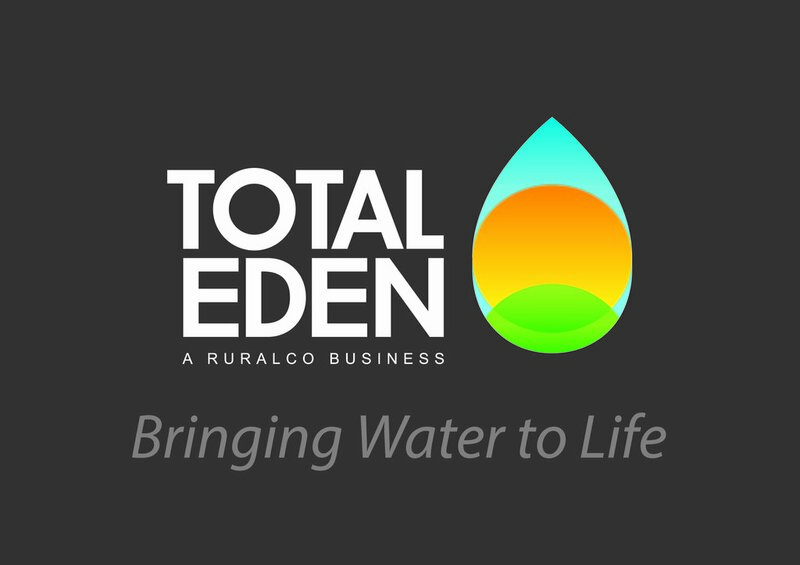 I'm into a business now in the fitness game and I've made a heap of friends here so it would be hard to leave now."